Complex challenges, such as those in health, environment, and sustainability, can rarely be solved with one individual or a single organization. 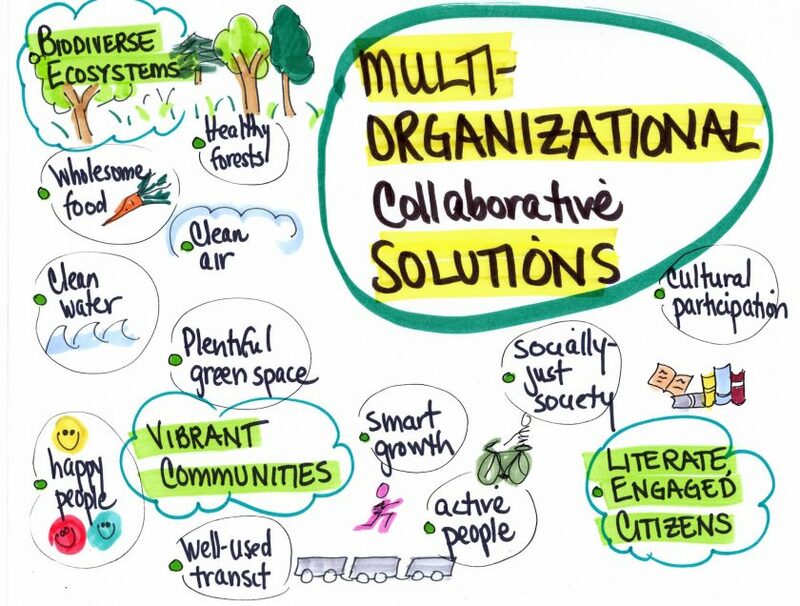 envision catalyzes collaboration across silos, organizations, jurisdictions, sectors, and academic backgrounds that furthers positive environmental and related systems change. We sort through competing priorities and ensure productive group dynamics so that the solutions reflect everyone’s collective brilliance. As experienced collaboration and facilitation whizzes, we partner with you to create the space where both supporters and adversaries come together across organizational units and beyond to craft solutions — collaboratively, collectively, cooperatively. envision designs and leads events at the local, regional and national level that develop, support and evaluate policies, regulations, strategies and standards while avoiding unnecessary costs associated with duplicated effort. Foster collective and creative, broadly-supported, robust solutions, and more. For a list of our projects catalyzing multi-organizational collaborative solutions, click here. Teach you how to work with multiple partners on complex issues, by designing and delivering training on conflict management and collaboration.